The Fiberoptic Endoscopic Evaluation of Swallowing (FEES) was developed by Dr. Susan Langmore in 1988. Alongside the modified barium swallow (MBS) study, FEES has become a globally recognized gold standard for evaluating oropharyngeal dysphagia and for assessing swallowing function. Dr. Langmore and her team provide two types of FEES courses at Boston University Medical Center – a two day foundation (introductory) course and a one day advanced course. For questions about any of the upcoming FEES courses, please contact the FEES Course Team 617-414-1756 or [email protected]. Dates: Friday/Saturday June 21-22 2019. Faculty: Susan Langmore, PhD, CCC-SLP, BCS-S Please click here to register. Dates: Saturday/Sunday September 7-8, 2019. Faculty: Edel McNally, MS, CCC-SLP. Please click here to register. Overview: The foundation course provides physicians and speech pathologists with 12 hours of lecture and 4 hours of hands-on practice. The lecture component covers normal physiology, indications, scoring, interpretation, use of endoscopy for treatment, billing, and program establishment. The hands on component takes place in a state-of-the art otolaryngology clinic, and participants will pass the scope at least 5 times under the guidance of multiple highly trained mentors. A range of FEES systems will be used to allow participants to test various types of equipment. Dr. Susan Langmore, PhD, CCC-SLP, BCS-S developed the FEES procedure in 1988. She is a Professor of Otolaryngology at Boston University Medical Center and Clinical Professor of Speech and Hearing Sciences at Boston University. 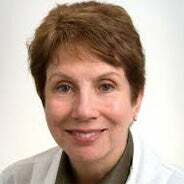 She carried an active clinical caseload for over 35 years, has mentored numerous master and doctoral level students, actively conducts federally funded clinical research, and speaks on dysphagia nationally and internationally. Instructor Bio: Susan Langmore has over 35 years of clinical experience in acute care, rehabilitation, and outpatient settings, and has extensive experience with neurologic and head and neck cancer patients. She has worked as a clinician, teacher and researcher throughout her career, and is currently involved in NIH and PCORI funded clinical research. Instructor Disclosure: Susan Langmore is a NIH grant funded investigator at Boston University Medical Center. She has no other relevant financial or nonfinancial relationship to disclose. Edel McNally, MS, CCC-SLP, has over 20 years of clinical experience as an SLP, and specializes in dysphagia with all age groups. She is a senior SLP at Boston University Medical Center and at Spaulding Rehab, works in outpatient and inpatient settings, and has established FEES programs at a number of institutions during her tenure. Edel is actively involved in a number of NIH and industry funded clinical trials focusing on head and neck cancer dysphagia rehabilitation, automated aspiration screening tool development, residue rating test construction, and clinical predictive rule development for aspiration in the ARF patient population. She teaches the advanced dysphagia course for graduate SLP students at Boston University’s Sargent College, and has presented research findings at both ASHA and DRS conventions. Instructor Bio: Edel has over 20 years of clinical experience in both rehabilitation and acute care settings. She is currently an inpatient SLP at BMC, a guest lecturer at BU, and is involved in NIH funded clinical research. Instructor Disclosure: Edel McNally is a salaried employee of Boston Medical Center. She is also paid by Boston University to teach an advanced dysphagia course. She has no other financial or nonfinancial relationships to disclose. Outcome: The participant will attain a minimal level of competence in performing the FEES protocol, interpreting the results of FEES examinations, and using endoscopy to guide therapy for patients with dysphagia. With a guarantee of passing the endoscope at least 5 times, he/she will become familiar with handling the endoscope, passing it into the hypopharynx, and manipulating the endoscope within and around the larynx to attain an optimal view. Summarize what can be visualized and understood when using FEES. Describe clinical indications and risks for performing FEES. Follow a protocol for administering a FEES exam. Identify key structures, identify and interpret findings, and apply appropriate therapeutic interventions during the performance of a FEES exam. Integrate the FEES protocol into various clinical settings and with different patient populations. Describe how to use endoscopy to manage patients with dysphagia. Summarize how to implement FEES into their employment setting. Demonstrate introductory level ability passing the endoscope safely and with proper positioning to obtain an ideal view during the FEES examination. We want to thank the Olympus Corporation of the Americas grants committee for lending endoscopy equipment for the hands-on portion of this course. Logan airport is 5 and 1/4 miles from Boston Medical Center (BMC). The Metropolitan Transit Authority has trains/buses to/from the airport and the city. Please book your hotel early as they sometimes do not have available rooms.